The Nebraska State Patrol has released the names of two men killed when their garbage truck crashed in Elkhorn Friday afternoon. Troopers say the garbage truck driven by 26 year old Pierre Neal and passenger 54 year old Rogelio Sanchez Marin, both of Omaha, was northbound on 204th Street as it approached Fort Street. Neal drove the truck into the southbound lane in an attempt to pass a pickup and trailer that was turning right onto Fort Street. As that happened, a dump truck turned left from Fort Street into the southbound lane of 204th Street. Neal over-corrected while trying to get back into his own lane and lost control, flipping the truck onto its side. As the truck slid, it ran into the dump truck. Neal and Sanchez Marin died at the scene. 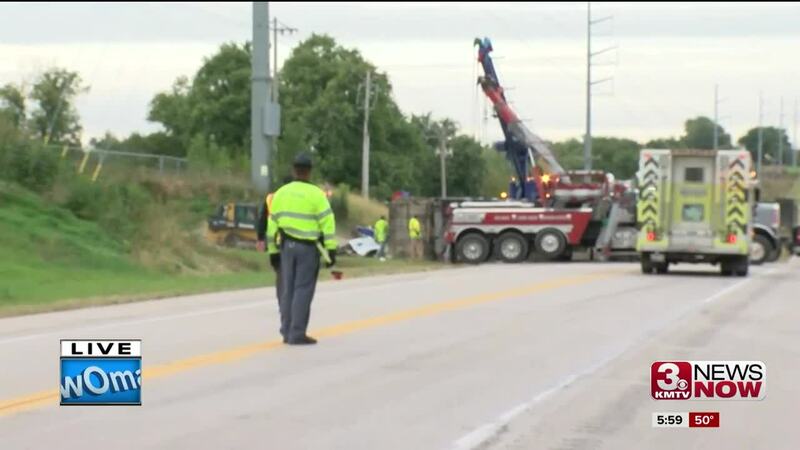 The driver of the dump truck, 55 year old Darold Ashcraft of Omaha suffered minor injuries. Troopers are still investigating. The intersection was closed for about six hours due to the investigation and cleanup. 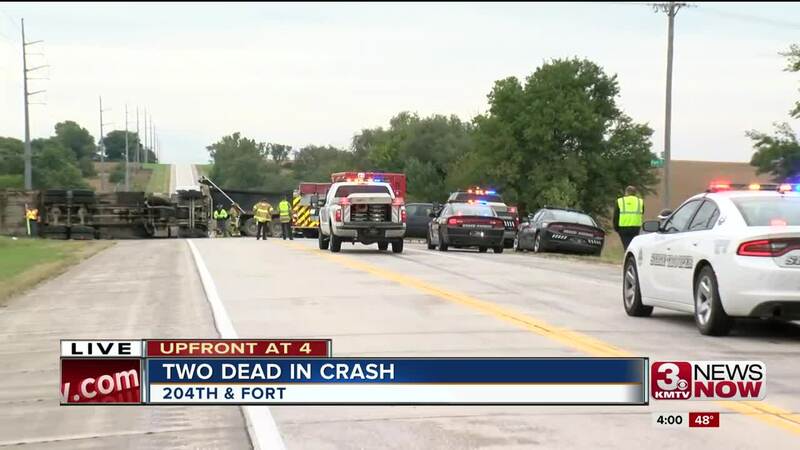 Two people died in a crash involving a dump truck and a garbage truck at 204th and Fort streets Friday afternoon, according to the Nebraska State Patrol. Both fatalities in the crash that happened at about 1 p.m. Friday were Waste Management employees, the company confirmed. "Today is a day of profound sadness for the Waste Management family," Waste Management spokeswoman Lisa Disbrow said in a written statement Friday afternoon. "This is a heartbreaking incident and our deepest sympathies go out to their families and friends. "We are working with local authorities, Nebraska State Patrol and would like to extend our deepest gratitude to the first responders who attended and assisted at the scene. We appreciate your patience as the authorities investigate this incident." Authorities were advising drivers to avoid the area Friday afternoon as streets had been shut down while the crash was investigated. Drivers are asked to avoid the area as it is expected to be closed off into the evening hours. "I have talked to Waste Management managers tonight to express my sincere condolences to the company and the families of the Waste Management employees killed today in the crash at 204th & Fort. Workplace safety is always the priority for our employees and those who work for companies under contract with the city. "Waste Management performs a critical service for the citizens of Omaha. The employees are parents, neighbors and friends. This is a tragedy for everyone." Stay with 3 News Now for more information about this developing story.